I realize that we are starting this super early, but it’s our first year to do Elf on the Shelf and this is the sort of thing that my bunch is really into these days. 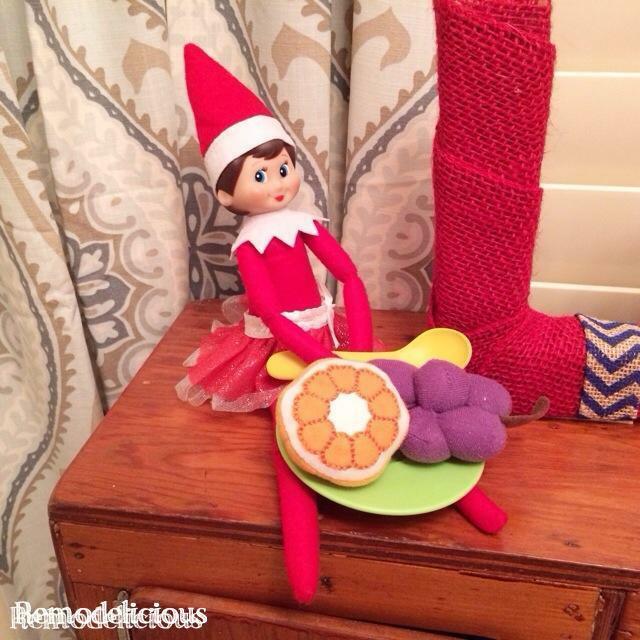 Our Newly adopted Elf Scount had been named “Mary Jo” after thoroughly exploring ALL options for a half hour or so. Naturally, the girls felt she needed a tutu so I sprung for the 2013 Limited Edition skirt. For our first night, I thought we should keep things simple. She’s in the first place the girls head in the morning, their “little kitchen” where she’s gotten a head start on breakfast. Do you have an Elf? What sort of silliness has your Elf gotten themselves into? What’s your favorite part of the tradition?